Signs of a malfunctioning CPAP. "Dear Advans CPAP, I want to express the courteous and patience you gave my family when we were inquiring about the BiPAP options, and other accessories... It was a real pleasure ordering from you, besides having the best prices. Keep up the excellent service...bravo!!!" If you need a CPAP or BiPAP machine to treat your sleep apnea but you do not have health insurance coverage (or high deductibles), or just want to replace your current equipment, you want a quality product at the lowest price possible. 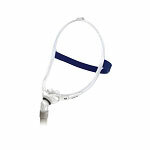 In addition, timely and professional customer service we believe goes hand in hand with your CPAP purchase experience. You could likely also use some friendly, expert advice in choosing a CPAP machine, CPAP mask, or humidifier that's suitable for your needs. 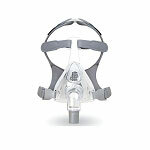 ​Our CPAP online suggestion page can help you select the right CPAP supplies and machines. We also have registered sleep technologists available by phone or by email to guide you with any questions. "I would like to express my most sincere gratitude for your tremendous service and personal advice in getting me started with the CPAP equipment required for my obstructive sleep apnea treatment." 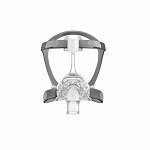 Best of all, we offer discounts of 50% to 70% off the suggested list prices for most CPAP machines, CPAP masks, and humidifiers. That seems to make our customers very happy! For those who currently have a CPAP, Auto CPAP or Bilevel machine in need of CPAP repair or CPAP servicing, we can help as well. Our trained technicians are able to repair and service Bilevel, BIPAP, CPAP and APAP units in house at very reasonable rates along with quick turn around times. An example of machines serviced are: ResMed S7, S8 & S9 series, Philips Respironics Remstar Legacy, M-Series and System One to name a few. As an authorized ResMed repair center, there are no hassles, less wait and more cost effective. "The Advans web site was by far the cheapest for this particular machine and mask... about $100-$200 less than the other vendors. I ordered it and in 2 days I received it. Thank you all at Advans, you helped me through this difficult time adjusting to a new diagnosis by responding to my order quickly, saving me $$$$$ and having such a nice and helpful person such as Louis at customer service to give technical support." We invite you to use the menu at the very top to locate more detailed product information and to order. 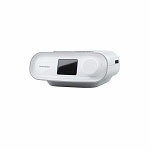 This is the most recommended Travel Mini CPAP machine. The Transcend small, lightweight design and optional battery pack make it perfect for home or travel. The ResMed AirSense™ 10 AutoSet™ is a quiet, easy-to-use, flow-based Smart CPAP system that gives you more options than ever to use this unique treatment mode to improve compliance and outcomes. 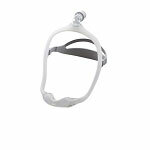 The DreamWear’s unique design offers many of the benefits of nasal, and pillow masks, enabling the patient to gain the best of both mask types. 1. The fastest and easiest way to order is through our secure online shopping cart system. 2. You can call us at 714-897-2727 from 10:30am to 6pm Pacific time M-F to place your order. By federal law, in order to purchase a CPAP machine, BiPAP machine, Auto CPAP machine or heated humidifier a valid prescription from your physician that is less than one year old is required. ?Within 48 hours of placing an order, please fax your prescription to 267-295-8736. *Additional restrictions apply. Please see our policy. Copyright Advans CPAP: CPAP Sales, CPAP Repair and Servicing. All Rights Reserved.